The little bit extra, that sauce, juice or trim that just doesn’t get in our presentation. Unlocking the hidden potential behind those little extras leads to the creation of new and exciting dishes that begin with a familiar flavor but take you on a completely different culinary journey. 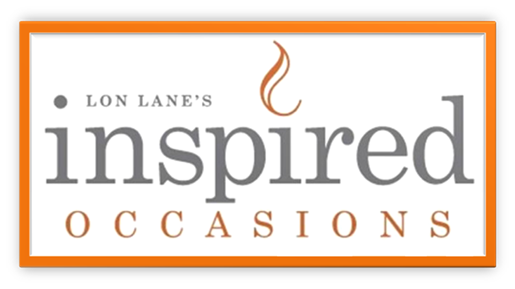 One of my favorite dishes at Inspired Occasions has to be our Zinfandel Braised Beef Short Ribs. The tender braised beef yields to the barest pressure of your fork while the sauce gently coats the ribs like a velvet blanket. It is my opinion that there is never a bad time of the year for these delicious treats, and with each batch we make comes a new opportunity for creativity. When we make short ribs we usually make by the dozens, and when you make that many ribs you end up with a lot of extra sauce! I have never had a good use for the extra sauce besides being sopped up bread (actually that’s a perfectly good use for the sauce) until now. We took the extra sauce and all the trimmings and made a hearty vegetable ragout tossed with rigatoni pasta and freshly shaved parmesan cheese. The ragout was prepared by sautéing a mirepoix until golden, adding the trimmings, sauce, san marzano tomatoes with some bold red wine. This was left to simmer away slowly filling the kitchen with the mouth-watering perfume of braising meats. To make the ragout truly hearty we added some sautéed fresh zucchini and yellow squash with a touch of fresh ground chilies from the garden. After about an hour of low and slow love the flavor was deep and intense, every spoonful of the ragout coated your mouth in that rich unctuousness of low and slow braised meats and the hearty taste of the sweet vegetables with a slight kick from the chilies. As the sauce finished cooking we tossed in some rigatoni still dripping from the water and a healthy handful of shaved parmesan. The pasta, parmesan and thick rigatoni created a substantial dish that would satisfy even the most carnivorous appetite. Now let’s talk about some lighter fare, and a throwback to my days of hosting fiesta Friday! Every fiesta I would always make a bowl of Pico de Gallo, a beautiful mix of fresh tomatoes, onion, jalapenos, lime juice, cilantro and a touch of garlic. My issue with Pico was that when you salt and lime the tomatoes they expel so much of thier flavorful juice. This juice is usually drained off by our staff before service at an event, but why did it have to be that way? We decided to take the Pico juice and make a light and refreshing Mexican style cous cous with a lime and cilantro marinated and grilled chicken breast. The cous cous was made by bringing the Pico liquid to a simmer then pouring it all over the small grain cous cous. After a few minutes we raked the cous cous with a fork to separate every grain making the dish light and fluffy. It was then chilled and mixed with some fresh Pico and topped with our marinated lime and cilantro grilled chicken. The flavors were so vibrant with the fresh lime juice, the sweet summertime flavor of the tomatoes, the subtle heat of the jalapeno, and the tropical taste of the cilantro. This dish makes for a perfect lunch date for any time of year. Sometimes when we are cooking we have to trim some products to get exactly what we want, leaving some very tasty bits for all the kitchen crew to enjoy. But much to the chagrin of my coworkers I found an amazing new use for one of my favorite items in our kitchen, our signature grilled marinated artichokes! We took the grilled stems, that are normally trimmed, and pulsed them in a food processor with some extra virgin olive oil, shaved parmesan, lemon juice and zest, a touch of tabasco, and our secret ingredient preserved lemon salt (the left over salt from preserving our own lemons). This pesto was a punch to the taste buds with a bright flavorful bite of lemon and sweet artichoke complimented by the char and smoke from the grill. We spread this on little slider buns topped with grilled chicken and a healthy slice of fresh seasoned tomato. A perfect bite! Now this next idea is both a little crazy and a lot of hard to believe but hear me out and you will be treated to a tale of culinary wonderment. Over the summer we smoke quite a lot of ribs, brisket, chicken and other such land and sea animals. But one day we were packing our smoker full of pork ribs, 18 slabs in total filling up every available inch of space. We use rimmed sheet pans under the rack to catch all the drippings and then use that to baste the ribs. I took all the accumulated liquid, placed it in a big pot and started to reduce. After a few minutes everyone in the kitchen became curious, the smell alone was bringing them all in like a BBQ version of the pied piper. The broth tasted like the essence of smoked ribs, a pure liquid version of everything good about BBQ. That’s when the old brainstorm clouds started to move in and the madness began. I grabbed an old Larouse and brushed up on my consume technique. We gave it a go, and ended up with a dark tea colored clarified broth! To complicate the madness we made little balls out of some uncooked roasted poblano cheddar cheese grits and deep fried them to golden perfection. When you bring them both together you now have a hot cup of…. BBQ Matzo Ball Soup! The BBQ broth brings forth the entire flavor of the smoker, the essence of BBQ, while the grits act like the matzo balls but with a fun spice and texture all their own. A truly “something out of nothing” dish that is so good it’s just funny! R and D mix plate! Normally when I put these posts together for you all I try to keep with a theme, a general underlying theme to help guide both you and myself through the twists and turns of my Mind-to-Computer thought process. But this week we are branching out and trying something new, a veritable grab bag of different ideas and flavors that we have been busy creating over at the LLIO! So buckle up and grab a helmet because your mind is about to be blown! Summer is quickly becoming a sweltered and sweaty memory as the chill and rain of fall washes over us, but the “dog days” of the summer season still lend an inspirational hand to our R and D crew. Many years ago we developed an amazingly light, crisp and fresh ginger pickled shrimp recipe that was a perfect foil to the harsh summer weather. But over the years we started to forget about this little delight, but it has made a glorious reemergence in our new and fun ginger pickled shrimp summer rolls with house pickled ginger, green onions and carrots from our garden, fresh cilantro and served with a pickled aioli. The summer rolls are stuffed with pickled shrimp, thin and delicate vermicelli noodles, match stick carrots, Julienne green onion, fresh cilantro and a large slice of house crafted pickled ginger. The combination of textures and flavors invoke images of tropical beaches and a cool ocean breeze. A perfect start for any summer cocktail party. But let’s not forget about another of “Summers Bounty”. I am thinking specifically of the oft mistaken giant green onion, Allium tricoccum, that’s right leeks! Leeks are the unsung hero of the onion family. They carry so much flavor and body, yet are never given their moment to shine. We at LLIO are here to change that stigma. We proudly present leeks front and center on our grilled and roasted vegetable carving station, on an equal throne as the heirloom tomatoes, Japanese eggplants and squashes. But what drew me to this next dish was the amazing flavor a grilled leek will bring to the table. The intense heat changes and softens the intensity of the leek and brings out almost a sweetness and richness while also providing an incredible char and smoke. So why not take all of this and change the format, I bring you a grilled leek vichyssoise topped with crumbled gorgonzola and fresh crab meat. The smoke melded seamlessly into a velvety smooth soup while the melting blue cheese added a tangy bite while not overpowering the soft sweetness of the crab. Paired with some local French farm sourdough bread toasts and you have a perfect cup for any season! This next item though, without a doubt, has to be my favorite new discover of the season. It’s super flavorful, beautiful, and as wild as your imagination! The complex flavors and textures you achieve with this is beyond everything you expected, and you just demand more! This item of my devotion and craze is our new house made hummus pizza, topped with garden grown grilled Japanese eggplants, feta cheese and topped with fire roasted red peppers and drizzled with extra virgin olive oil. The hummus bakes to a rich and creamy texture, a perfect foil for the crispy/airy crust, while taking on a little color and caramelization deepening the complex flavor. The grilled eggplant brings so much to the party with its sweet flavor, deep smoky flavor, and creamy texture. But the ties that bind these together are the salty caramelized feta cheese and the sweet roasted red peppers. Together these flavors play a symphony in your mouth and leave you demanding more! And the variations are as endless as the varieties of hummus and toppings you can create.